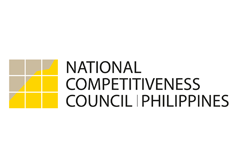 The National Competitiveness Council (NCC) said it would come out with an assessment and plan the state of the Philippines’ competitiveness. NCC co-chair Guillermo Luz said the council will work with the Board of Investments to prepare 10-year industry roadmaps with each industry to be asked to map out growth prospects as well as the policy, regulatory, infrastructural, and human resource environment needed to succeed. Luz said while the national assessment will be made on an annual basis, the council’s proposal is for the plan to look ahead 20 years with periodic reviews. Luz said the assessment will be linked to the six-year Philippine Development Plan. He noted the importance of having a plan that looks out 20 years for a strategic long-term perspective. Luz said that in 2012, the NCC would give greater weights and emphasis on the Philippines’ competitiveness rankings in the areas of governance and bureaucracy, infrastructure, and basic sectors such as health and education. He added that the NCC would continue working on areas that need improvement.